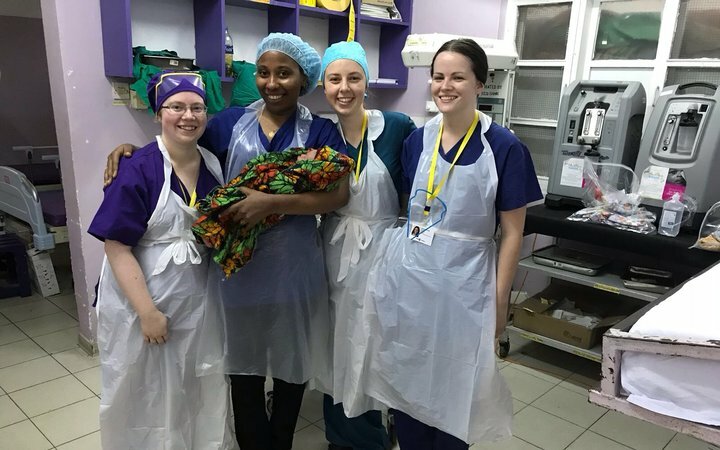 My friend and I undertook our two-week midwifery placements in Tanzania through Work the World. When we arrived, a member of the Work the World team met us at the airport. We travelled together to the house we were going to live in during our stay. After settling in and meeting our housemates, we had our official welcome briefing from the Work the World staff. The following day, the team took us on a city orientation. 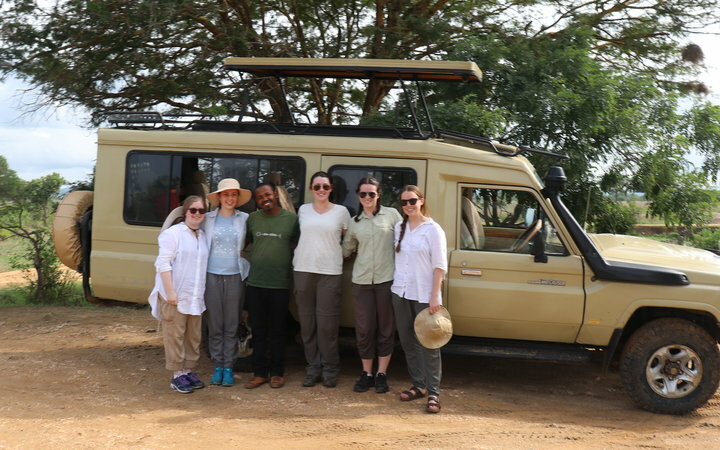 I, along with the other new arrivals, headed down to the local dala dala station in the Tanzanian sunshine. Dala dala are minibuses serving as the main form of public transport. 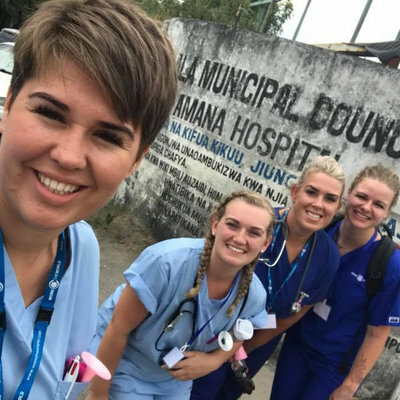 The team took us on the dala dala to show us the route we needed to follow to get to our placement hospital. When we arrived, we were introduced to local staff and given a full hospital orientation. The Work the World team also took us around the city, showing us all the best hotspots, helping us get local SIM cards and anything else we needed or wanted to see. On our first day of placement, we were shown where everything was on the maternity ward, where we would be spending our placement. 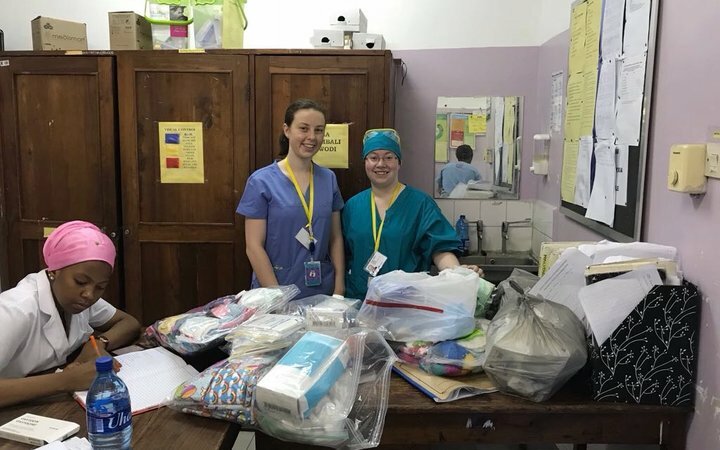 We got straight into it by making caesarean section kits, which was comprised of a tray filled with tools needed for the procedure wrapped in a green fabric and tied with gauze. We had many memorable experiences during our two-week placement. The first births we saw in the hospital were memorable indeed. Two women arrived about eight centimetres dilated, so we started helping prepare for the births. When the baby was born, the midwife handed it to me, asking me to weigh and measure it. The second woman was still labouring and now ready to push. The friend I was travelling with assisted with the delivery. Three Tanzanian medical students arrived. They were due to rotate through the labour ward for one week. The students were friendly and spoke English well, and willingly translated for us to the labouring women. The local midwives also spoke great English, which helped immensely during our placement. 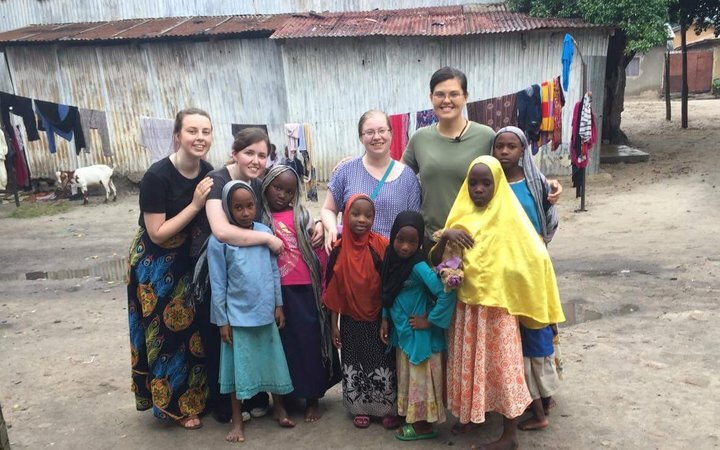 On another day, we saw a woman who’d received an ultrasound, which seemed rare in Tanzania. The scan showed that the baby was breech. After labouring for some time, local midwives decided to cannulate the mother and she quickly began to deliver. The descent was slow, but the local student nurse who began the delivery managed to remove the legs and arms. The baby’s head became stuck, but after some manipulation, the it was finally born. The baby was quite blue, and floppy; possibly as a result of the less-than-smooth birth process. It was clear that the baby needed resuscitation and oxygen. The baby was a healthy colour by the end of our shift and did not require any more oxygen, which was a great result from such a tricky birth. A few hours later, six more women came in between eight and ten centimetres dilated. 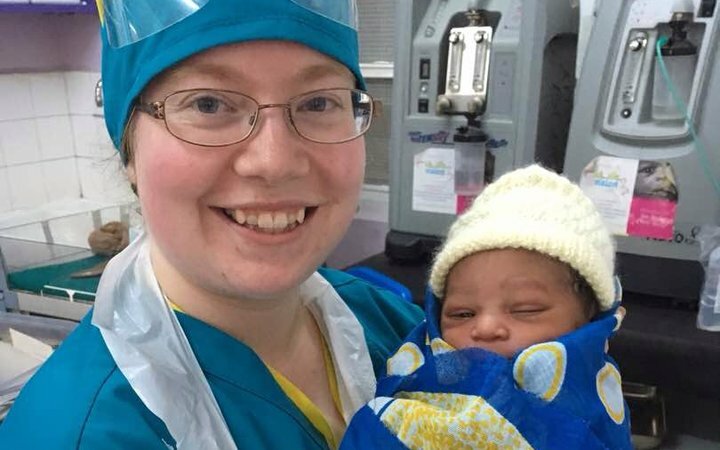 During assisting in the delivery of one baby, I turned around to a head-on view for another woman. I was sent over to help deliver that baby, while five other patients were birthing in the same room. Once I had weighed and wrapped that baby, I went quickly to help deliver another. The maternity ward in our placement hospital in Tanzania was very different to what I was used to at home. There were eight beds for mothers, separated out in twos. The beds were not separated by curtains. One bed was directly across from the door and one next to the door. Women would often be pushing the baby while people were entering and leaving the ward giving them no privacy. Between births, we would wipe the beds down with a cloth that had been sitting in a mixture of chlorine and water. When labouring women cried out in pain or made 'too much noise’ local staff would tell them to be quiet. In instances when words weren’t enough staff would slap the mother on the leg. This was, clearly, a cultural difference. Fortunately, it wasn’t a surprise as Work the World had prepared me for seeing things like this. It was much easier to accept and respect these differences as a result. The staff were amazing at delivering healthy babies with so few resources and different practises. Some practices were, to us, very different indeed. One such practice was to apply fundal pressure to help push the baby out. If the mother was taking too long while pushing, the staff stood on a stool and pushed the top of her uterus try to ease the baby out. This is considered to painful for the mother in Australia. Tanzanian women are true warriors, especially when it comes to childbirth. Within ten minutes of giving birth, they were up and showered and feeding their babies. This was often out of necessity; with labouring women coming in at all hours, the hospital simply needed the beds. 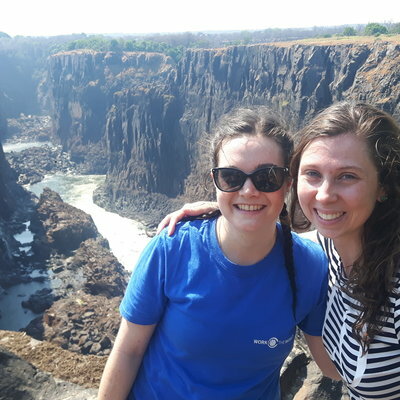 We spent plenty of time exploring Tanzania when we weren’t on placement, in the evenings and during the weekends. We visited the Zanzibar; a paradise island off the coast of Africa, went on a wonderful safari, and went snorkelling—the fish were amazing! One Sunday, we went on a spice tour. The guide showed us the farms and orchards where they were growing things like nutmeg, pepper, cumin, cinnamon, vanilla beans, pineapples, oranges, avocados, apples, and jackfruit. At the end of the tour, they gave us all flower crowns and bracelets, it was a special memory! 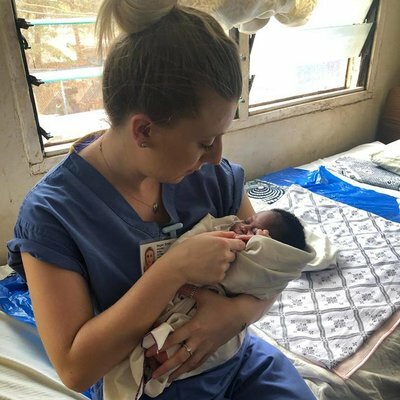 Reflecting on my experience, I have a newfound appreciation of what it means to support a woman through labour and childbirth when faced with a lack of resources. My advice to anyone considering a healthcare placement abroad with Work the World would be to stay open minded. You’re guaranteed to see things you would never see at home.